Did you spot all the PT references hidden in Metal Gear Solid 5: The Phantom Pain? Initially unveiled during Gamescom as a free horror game from an "indie" development studio, PT quickly revealed itself to be none other than a playable teaser for the Hideo Kojima-directed Silent Hills. Filled with creeping dread, jump scares, and obscure puzzles there's no video game like it... including PT, now that Konami's removed it from PSN, cancelled Silent Hills, and ousted Kojima from the company. PT may be gone, but that doesn't mean it's been forgotten. PT's soul actually lives on in an unlikely source: Metal Gear Solid 5: The Phantom Pain. 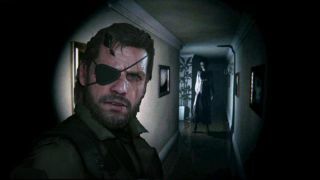 And it's not just a single reference or Easter egg - The Phantom Pain is filled with nods to the modern horror classic. Are these references merely winks to a passion project that's all but deleted from existence, or is there a deeper connection here? I'll leave that for you to decide. At Tokyo Game Show 2014, Kojima showed off some of Metal Gear Solid 5's open-world gameplay in the newly revealed Africa map, along with a handful of weapons and gadgets that would be at the player's disposal. One such item is the decoy: an inflatable balloon shaped like Big Boss designed to trick and lure guards. You wouldn't just have access to Big Boss, though. According to the video, you'd also be able to toss out an inflatable version of PT's Lisa to strike terror in the hearts of enemy soldiers. Unfortunately, it's nowhere to be found in the final game. Here's another pre-release PT reference, but this one was shown after reports of Kojima's departure and Silent Hills' cancellation were made. During this 30-minute-long presentation of MGS5's Mother Base, you'd have to be blind not to notice the PT emblems plastered all over the base. Its inclusion may have been planned from the beginning of the game's PR cycle, but the timing of this video feels like one last middle finger from Hideo Kojima aimed directly at Konami's cancellation of Silent Hills. When playing through PT, you'll probably notice (when you're not dying, anyway) a radio broadcasting a news report of a particularly grisly series of murders. MGS 5 actually plays this exact report in mission 20. As you're wandering through the mist in the Ngumba Industrial Zone, you'll find a tent with a radio airing this broadcast while a haunting melody plays in the background. If you head to outpost 13 in Africa, you'll find a boombox containing a cassette tape with the song '204683'. This creepy tune was featured in PT, and was composed by Ludvig Forssell, who also worked on the MGS5 soundtrack. When you solve PT's puzzle (or stumble your way through it), you're rewarded with a monologue delivered by a man who casually recounts how his dad killed him and his family, and how he'll be coming back, and bringing his new toys with him. This monologue is also, strangely enough, featured in MGS5. If you leave some Skulls alive on your way to Code Talker's mansion in mission 28, you'll find a radio inexplicably playing this terrifying message. 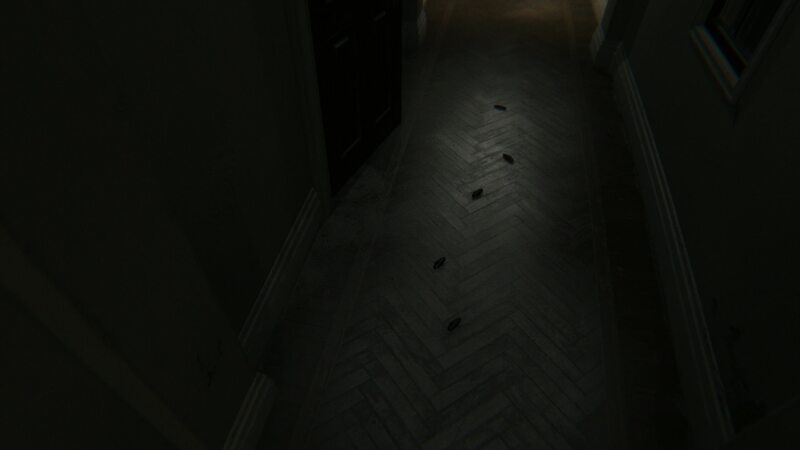 As you're playing PT, you'll probably notice the creaking of a swinging chandelier echoing throughout the hallway. That same exact sound effect can be found while you're walking around the outpost at Da Shago Kallai during nighttime. Here's the problem: nothing in the environment is moving in a way that could possibly make that sound, and the creaking stays at a consistent volume no matter where you are, cutting out entirely once you walk out of range. It's bizarre. Even Metal Gear Online is getting in on the PT action. If you look at the ground of your starting base in the offline freeroam map, you'll notice tiny roaches crawling around that seemingly flit in and out of existence. Yep, those roaches are in PT as well.